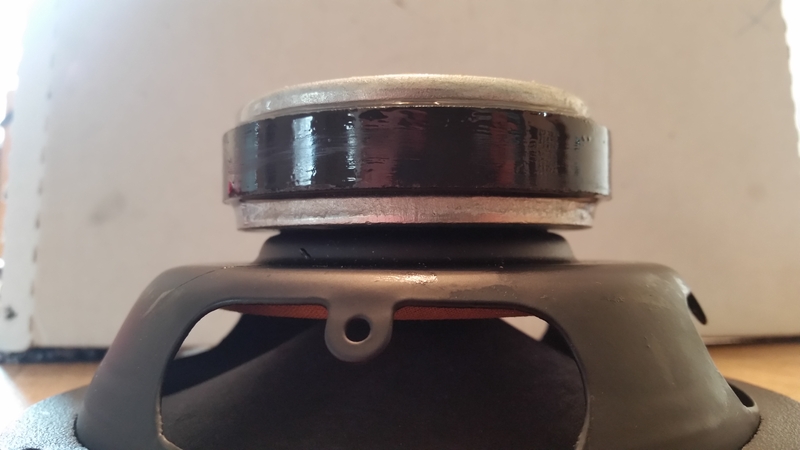 If I am not mistaken all the Monitor's have their crossovers as a part of the binding cup which is on the bottom back center of the speaker, behind the passive. Ok, let's talk black hole baffles? I'm concerned with not having the front to back piece between the drivers. Unfortunately I have the crossover too high so the front to back baffle can only go as high as the mid points of the drivers. 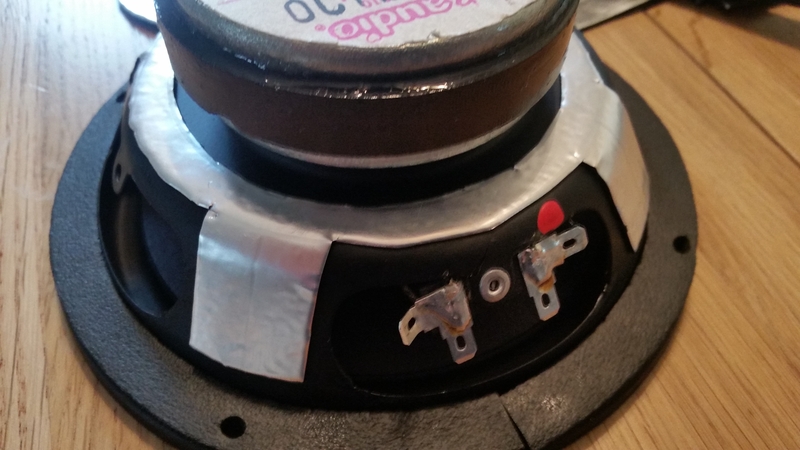 I have seen adding block hole panels behind the drivers is a significant improvement. Has anyone done this to 10's? I don't know how I missed this build, but the cabinets are outstanding! Very nice looking work indeed. I have been researching the internal "brace" on the 10's. 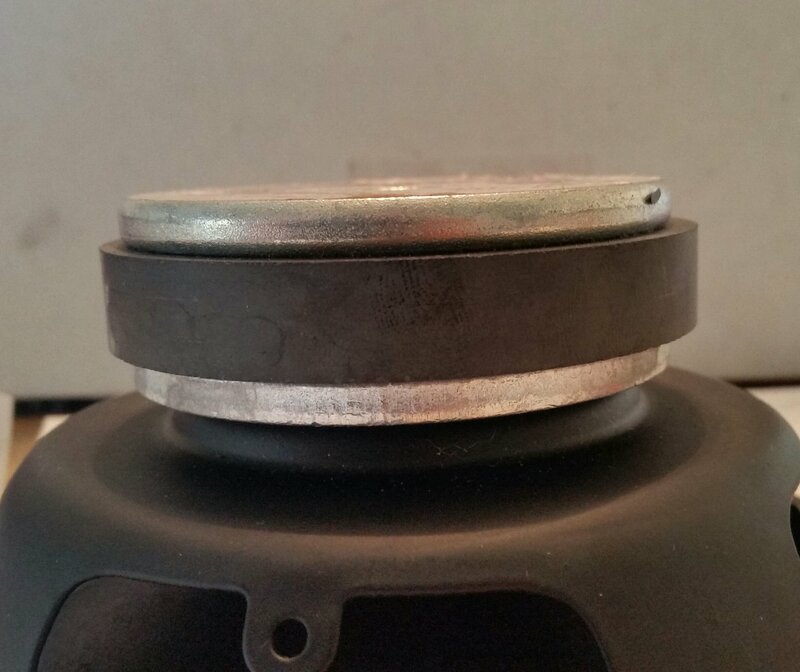 It appears after looking at video of the inside, this is more of a brace than a baffle. I'm going to add this brace that will go from the back to the front between the drivers to above the pr. 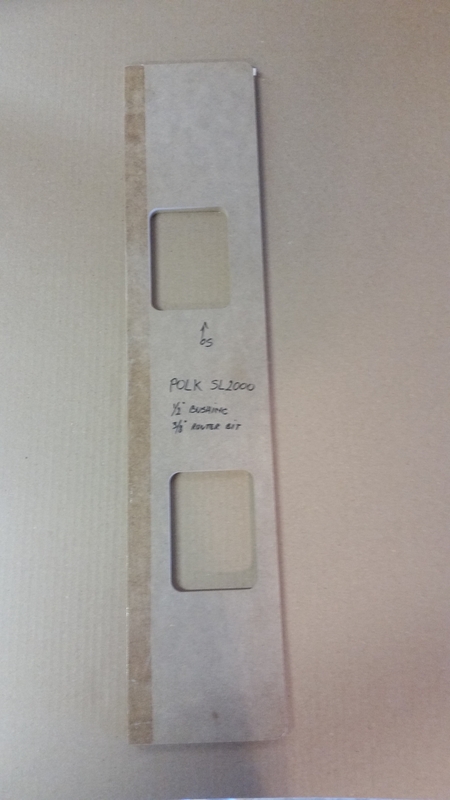 My brace will be made from 1" MDF 3" wide and 10" long. What about the crossover and the binding cup hole? I'll be under it. The brace won't go up to the tweeter since the cup is there. Ok, that makes sense as the Monitor 11 was an improved Monitor 10 whereas Polk realized the combing issue inherent to having two mids side by side playing the same frequencies and corrected that in the 11's. As for the magnet/inductor issue, add bucking magnets to the mids and tweeter to cancel out the magnetic field, problem solved. Since one of my MW6503'S locked up and I'm not ready to learn how to repair properly, I have spoken with Polk for a new set. Polk won't have stock until June. I have a 6510 for a temporary replacement. I have seen the specs and understand the differences. Resistance is the same. My only question is, any problem with running a 10 and 03 together minus sound quality. Prepping my 6510 for installation. This looks to be in good condition. 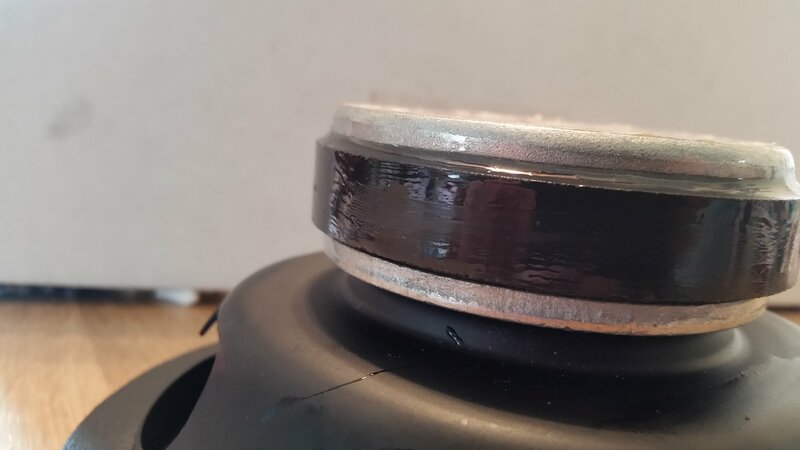 I cleaned the cone and face of the speaker with a cleaner degreaser. I know if I mention what brand I used we'll start a whole new conversation. Just don't use alcohol or petroleum distillant as I'm sure this would remove the coating or damage the surround. I'm epoxying in the magnet, both sides, and adding dampening on the cage. New foam seal and punched screw wholes. By the way, cut the end off the q-tip and just use the stick to stir and apply the epoxy. The cotton just makes a mess of things. Arg! I have been testing and the left tweeter stopped working. It is in the cross over. So, I'm going to have to diagnosis the problem. Anything obvious I need to look at first? I just looked at your crossovers again. I believe you may have the Caps wired to the wrong points. It appears the 12uf below the shunt inductor, is connected where the 34uf is supposed to be. The 34uf is connected on one side where the 12uf should be, and the other side is connected to the wrong point as well. Fuse! Simple... 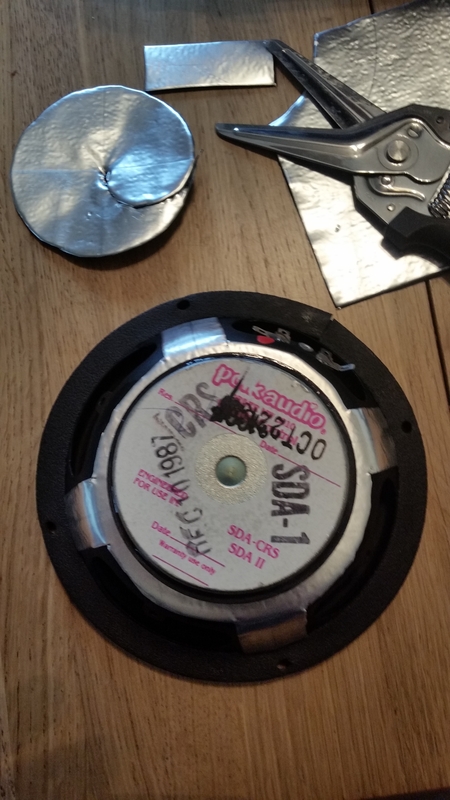 This is the speaker with the 6510 and 6503 drivers, probably not a good idea. Waiting for new drivers from polk. But now I'm reviewing my crossovers per westmassguy ' s discovery. Let me map it out again. I was pretty clear on the wiring, had an original crossover sitting next to me during prefitting. By the way, long fight with the poly fill. I'm ordering the correct fill. You don't do this right, it will sound bad... should have listened... I had way too much fill behind the drivers. I'll update once I get it right. I must be a High School kid, I'm listening to Boston and yes I have cranked it a few times. "Let's see what these babies can do" has been my motto. Granted a whole new world of enjoyment has opened up with these speakers. I hear things in my music I never heard before, from classical to rock. I have even scanned the fm band and listen to music I don't particularly favor and it sounds good. I'm criticizing the way some songs are mixed and quality of a recording. I can hear how thick the classical guitar players calis is on his thumb, if the vocalists smokes, the rim shots keeping beat in the background. So yes, I'm a kid with Dads new car, "let's see what these babies can do". Once I get control of my lead foot, I'll consider removing the fuse... until then it is my only level of defense against my ignorance. So it is the weekend. Let me tell you where I am in this build. It has been a long road but it is coming together. 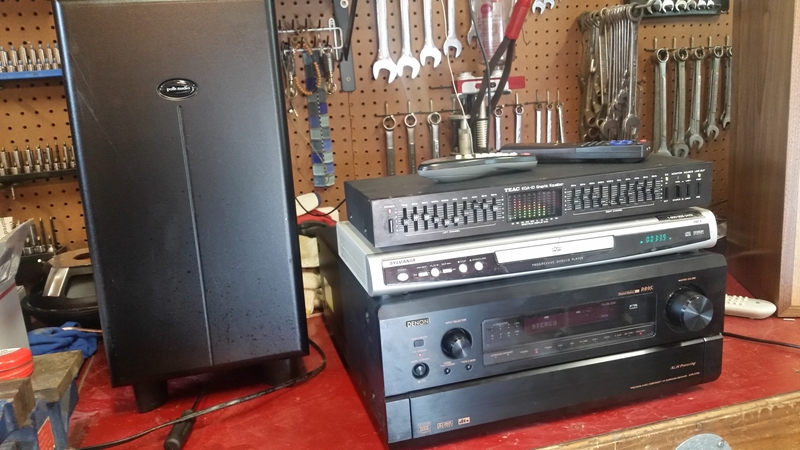 I have the speakers assembled, I'm running the on a Denon AVR-5700, plenty of power, and a 10 band equalizer because I like to be in control. I have been playing my old stand by's and even music I don't particularly like. 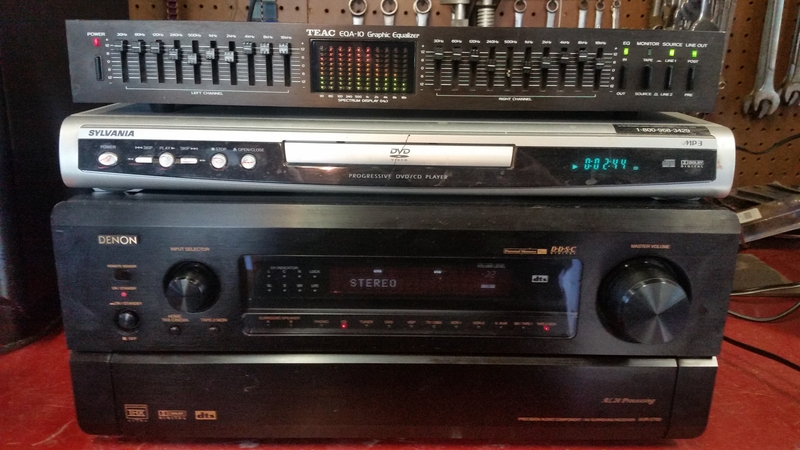 Ignore the DVD player, just some garage junk to get a cd feed. A wonderful forum member has been following the thread. 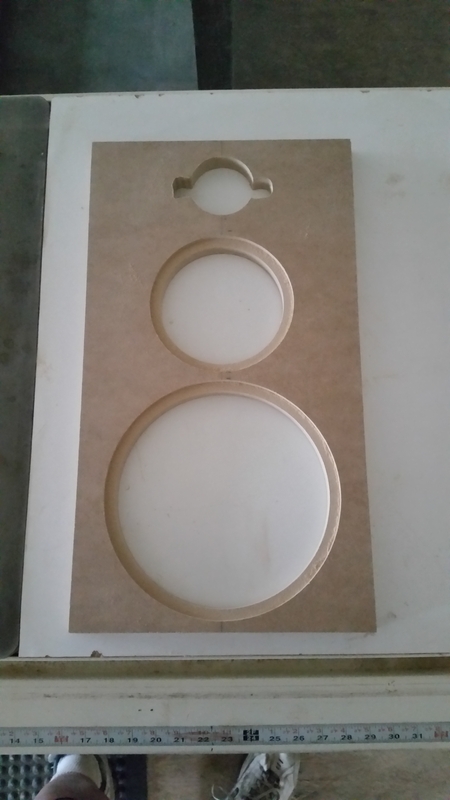 Deucekazoo has made me a template to try out to recess the tweeter. This is a godsend to keep my build professional. I'll post how this goes. 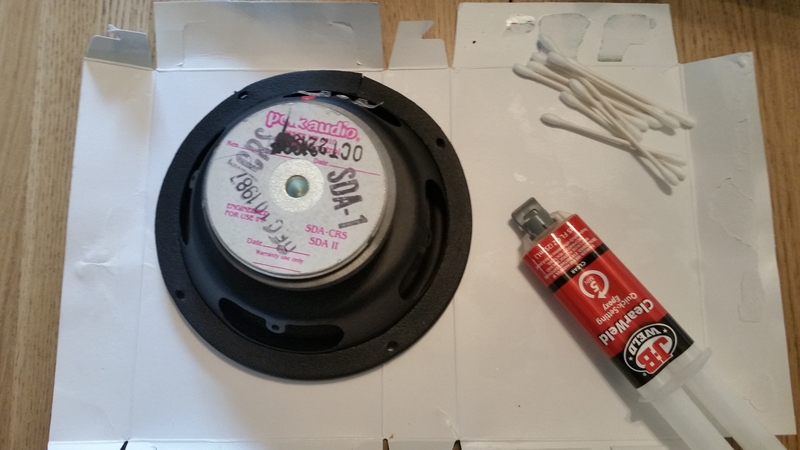 As I have posted previously, I'm trying to get the sound dampening correct, have blown my first fuse. F1nut was correct, the fuse holder has a short and may have contributed to the issue. I'm getting closer to pulling out the whole fuse train but not yet. These speakers are incredible. 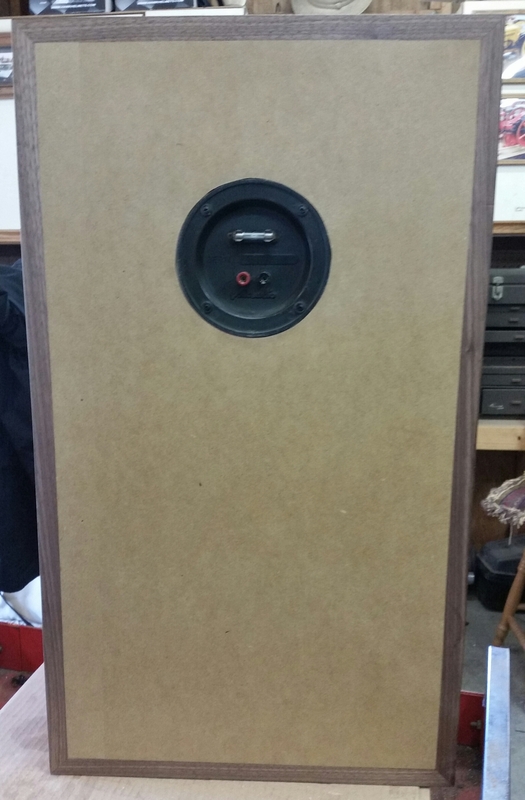 I am comparing to my 5's and 4's on my garage system and there is no comparison to sound quality and clarity. I'm not ready to start using terms like imaging, but I'm sure that is what I am hearing. So far, Wow, this is better than what I expected. With the rig you're running...........leave the fuse, you're going to need it. I see lots of distortion in your future. You should get a subwoofer instead of jacking the bass up to max on TWO EQs. Constructive criticism, don't take offense. Not really. Once you hear music the way it was meant to be, it will grow on you and you won't ever want an equalizer. Some music will sound lifeless at first, but a good recording will really shine. As a cabinet builder and fabricator myself, I love your workmanship. Those are very nice. 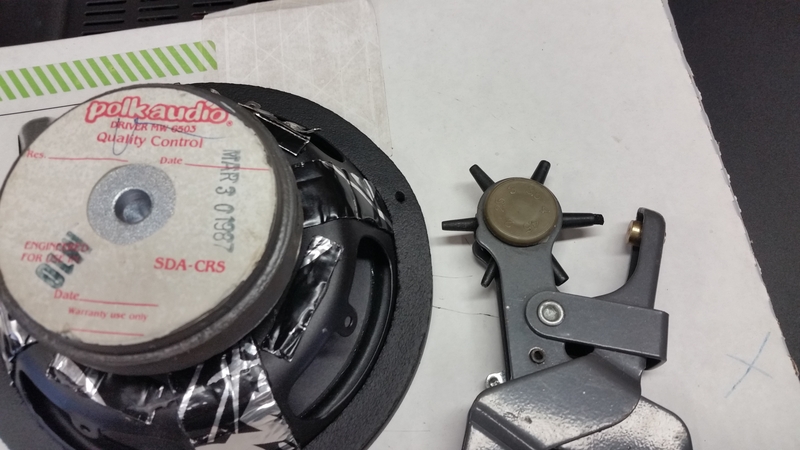 Don't blow up your nice work by cranking them with an underpowered receiver. Low power kills speakers faster than high, good quality power. Keep asking questions, lots of knowledge here. No, not that I've ever encountered. Those are "pretty bad", yes indeed. Actually it's a shame to feed those beautiful speakers what you're feeding them. They deserver much better, otherwise what's the point? P.s. Love the cabinet work. Ya, I'm not sure what your issues are with the rig, Equalizers certainly have their place. Quality of equalizer certainly is an issue here but maintaining the slides makes this one usable. I turn off the equalizer and find my tunes flat and lifeless. As for the receiver, it is a respectable mid line HT unit that has more output than the M10's specify. I have had an equalizer on every system. Some better than others. Again maintenace is key. Also, every system is different, not just in specs but age, condition... Every room is different and most importantly, every ear is different. Once you hear music the way it was meant to be, it will grow on you and you won't ever want an equalizer. There is truth in this. I am gravitating back to 0 settings more and more and suspect I will at some point abandon the equalizer with these Monitors.